This small photo album includes a number of views of Harvard Yard, Louis Agassiz’s Museum of Comparative Zoology, University Hall, the Tercentenary Theater, Daniel Chester French’s famous John Harvard statue, June Commencement in the Yard, and more, all on the campus of Harvard University in Cambridge, Massachusetts. 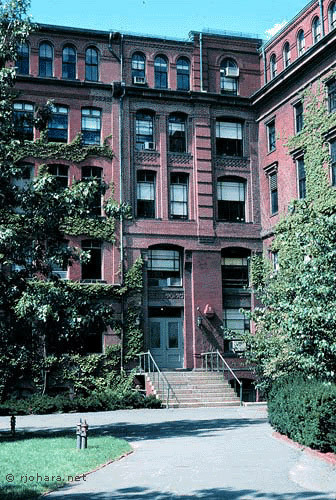 All photos below are © R.J. O’Hara and were taken during my time at Harvard as a graduate student in evolutionary biology. Museum of Comparative Zoology — The Oxford Street entrance to the research departments of the Museum of Comparative Zoology in early spring. 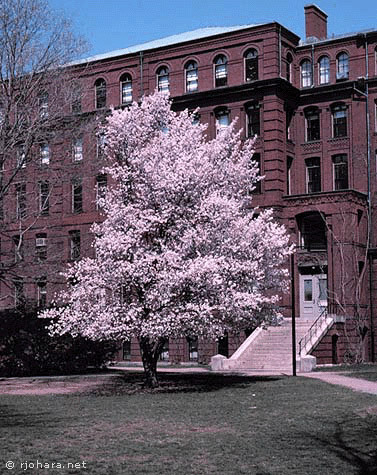 The flowering cherry was planted by Ludlow Griscom in the mid-twentieth century. 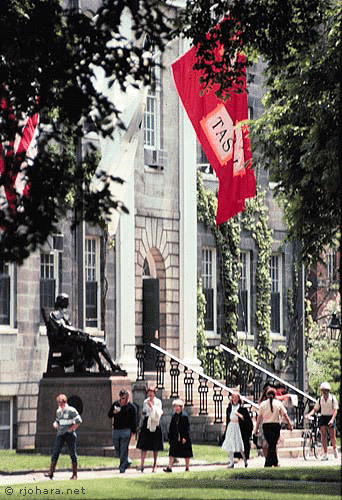 University Hall — Charles Bulfinch’s University Hall in Harvard Yard flying flags for Commencement. 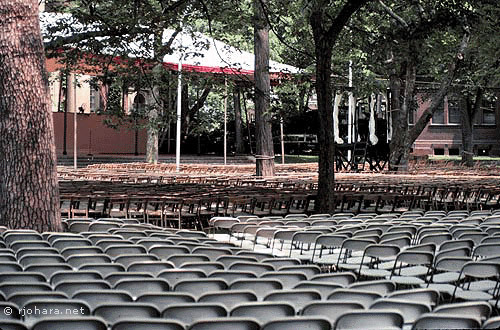 Tercentenary Theater — The Tercentenary Theater in Harvard Yard early on Commencement morning. 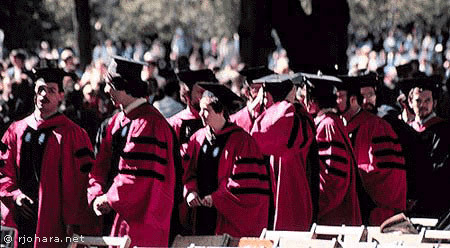 Tercentenary Theater — Some doctors-about-to-be on Commencement morning. Tercentenary Theater — The senior members of Lowell House being piped into the Tercentenary Theater. Museum of Comparative Zoology — The courtyard entrance to the research departments of the Museum of Comparative Zoology. 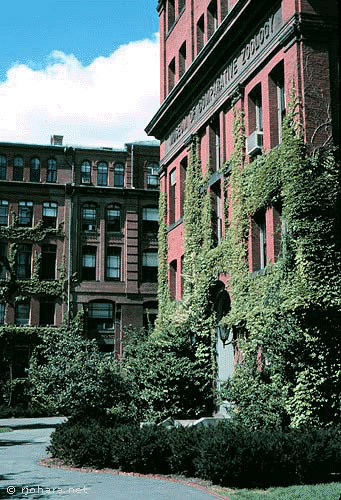 Museum of Comparative Zoology — Another view of the courtyard entrance to the research departments. The section of the Museum on the right behind the tree is the original section, built by Louis Agassiz in 1859. 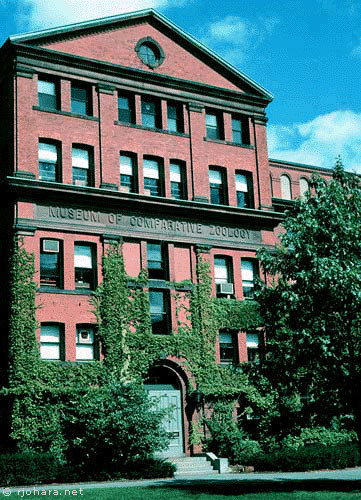 Museum of Comparative Zoology — More views of the MCZ courtyard and the entrances to the research departments. 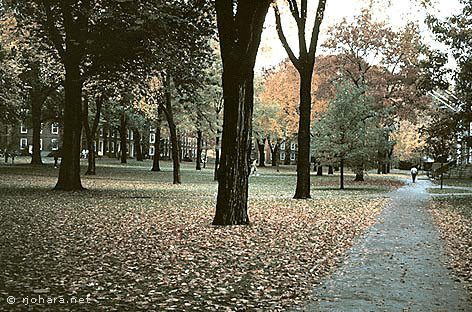 Harvard Yard in Fall — Harvard Yard in the fall. The flag poles on the right in the distance are the same ones flying the commencement flags in the photo above. John Harvard Statue — The famous statue of John Harvard, sculpted by Daniel Chester French, in front of University Hall in Harvard Yard. 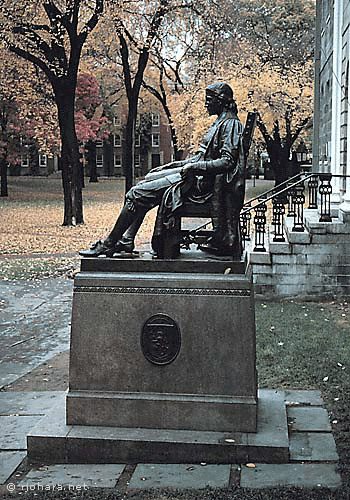 A student of the time served as French’s model for the statue, as no images of John Harvard are known to exist. 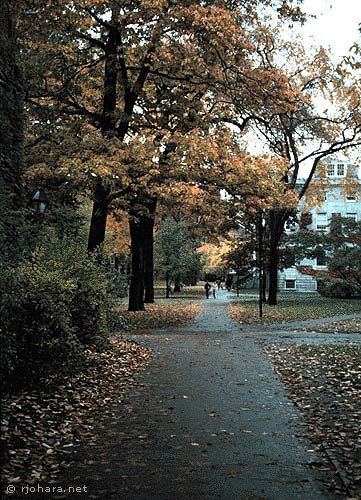 Harvard Yard in Fall — Another scene of the Yard in fall. All these fall scenes are of “the Old Yard” that in the seventeenth century was “Cow Yard Row.” The land just off to the right of this view was owned around 1640 by one Robert Bradish and was known as “Bradish’s Orchard.” Robert Bradish was my ninth-great-grandfather.